Addameer - Ramallah: The Palestinian prisoners’ hunger strike is still ongoing to this moment, as confirmed by Addameer on Tuesday, 9 April 2019. Addameer also confirmed that there are currently around 400 hunger strikers in the Israeli prisons of Ofer, Gilboa, Magido, Eishel, Naqab, Rimon and Nafha. 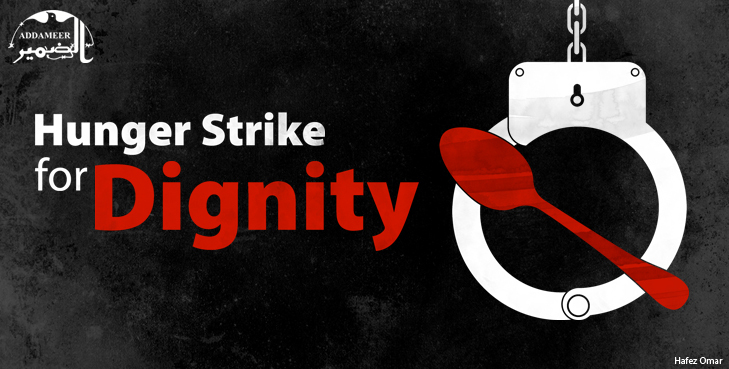 As it continues to monitor and document the events of the hunger strike, Addameer points out the importance of standing by the Palestinian political prisoners and support their demands for dignity and justice, both locally and internationally.